The Wessels single system GMP is designed to automatically service one closed-loop system. 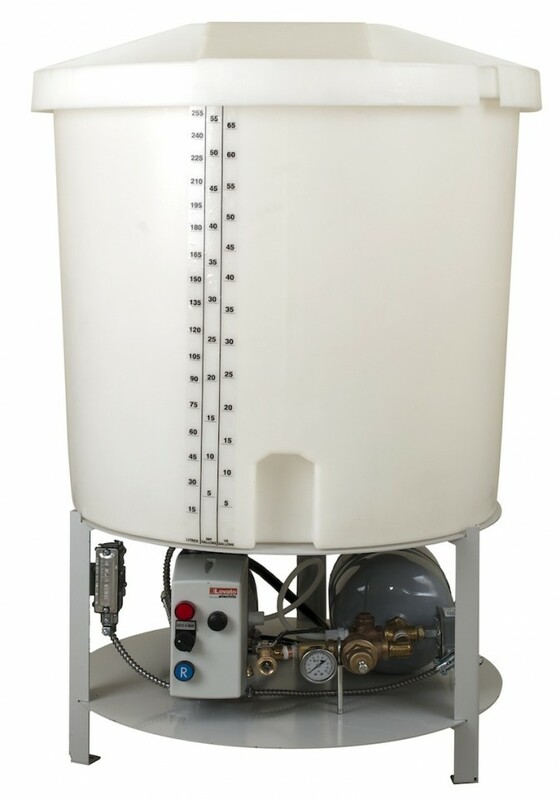 This GMP-series is available with 50 or 100 gallon reservoir capacities and 1/3 and ½-HP pump pressurization control station with magnetic starter. The 1/3-HP is used for systems requiring up to 50-PSI metering pressure, and the ½-HP station is used for systems requiring up to 70 PSI.